Present day life is becoming more mechanical with stressful lifestyle, though there is improvement in the standard of living in social, economical and cultural aspects. As they are having great bearing in the causation of organic diseases in man, since the social aspects of life are essential for peace of mind and self-satisfaction is an accepted fact along with economical status resulting in literacy, good environment with hygiene, good shelter, which also improves the mental and physical health. With all these comforts the diseases are increasing in number, especially stress and strain are the today’s major problems. Pranayama, the science of controlled, conscious expansion of Prana (the life force) is the fourth limb of Classical Yoga. The art and science of pranayama has immense therapeutic potential in a wide range of psychosomatic disorders such as diabetes, hypertension and asthma. It can be used either as a monotherapy or in combination with Asanas and other aspects of yoga. Pain may be due to lifting a heavy object incorrectly, over-exercising, sitting for long periods of time, or carrying a heavy backpack on one shoulder. By using proper lifting techniques, maintaining the appropriate body weight and tone, keeping the back and body muscles strong, and keeping good posture, many back injuries and episodes of low back pain could be avoided. Allergy points towards a state of disturbed harmony which could be due to a wrong style of living, wrong ei habhi etc. and sont s a wrong understanding and thinking too. The word, “allergy “is emanated from H two Greek words – allos which means “other” and ergon means “reaction” – resulting in immune malfunction. It was Dr. Clemens Pirguet, an Austrian pediatrician who used this term “allergy” first. 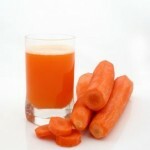 Carrot juice removes the bacterial infection from the kidneys. It also builds up the nervous system carrot juice is rich in minerals like sodium, potassium, calcium, magnesium, iron etc. Many experiments were done in Germany in 1840 to prove these properties of carrots by experimenting on rabbits. He found out that the carrot juice removes the offensive odour from the faecal matter of the animals by reducing the number of harmful bacteria there in. Just firm determination, patience, will power and sacrifice are required to adopt natural methods, which would save the patient from unnecessary medication, expense and further degenerative conditions and chronicity for arthritis. Mrs. X is a hyper sensitive lady; she can’t tolerate pain at all – whether it is physical or mental. In this circumstance, slowly if she has developed Arthritic problem, just try to imagine her position. “Yes, literally she began to cry while explaining the problems suffered by her. As same as some other patients, after trying Modern Medicine, which consists painkillers and then another system of medicine unsuccessfully, the case came to my hand. A couple of month’s treatment did definitely give her a considerable relief. Subsequently, I advised her on the routine that is to be followed and asked her to report if there is any problem. Since then a few months have elapsed and once, incidentally, when I asked her on phone as to how she is and how is the pain, she asked me in reply, “what pain”?! Well, let her not remember it, I thought for a while as I didn’t want her to cry. Nevertheless, I advised her to continue the natural methods that I prescribed, at least for a few more months. 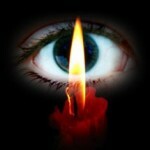 The word Trataka means ‘to look’ or ‘to gaze’. It is last of the shat karmas. It acts as stepping stone between physically oriented practices and mental practices which lead to higher states of awareness. It forms a bridge between Hatha yoga and Raja yoga. Hatha yoga is described in the early yoga Upanishads and for the first time it has explained shatkarma. It is a very precise and systemic science. ‘Shat’ means ‘six’ and ‘karma’ means action. The shat karmas consist of six purificatory practices. The aim of Hatha yoga and shat karmas is to create harmony between the two major pranic flows ‘ida’ and ‘pingala’, thereby imparting physical and mental purification and balance. According to both Hatha yoga and Ayurveda, an imbalance of the doshas will result in illness. The shatkarma are also used to balance the three doshas or humors in the body. These practices are used in order to purify the body of toxins and to ensure safe and successful progression along the spiritual path.